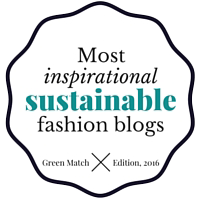 Collaborations • The Eco Edit. I love collaborating with eco conscious and/or ethical fashion brands, vegan friendly beauty brands, vegan food brands, organic lifestyle products and philanthropic enterprises. If this is your brand I would love to hear from you, please contact me here. My blog has thousands of unique users per month, and most of that is organic traffic from search engines, proving my readers have sole interest in the topics I cover.